NVIDIA today reinvented computer graphics with the launch of the NVIDIA Turing™ GPU architecture. The greatest leap since the invention of the CUDA GPU in 2006, Turing features new RT Cores to accelerate ray tracing and new Tensor Cores for AI inferencing which, together for the first time, make real-time ray tracing possible. These two engines — along with more powerful compute for simulation and enhanced rasterization — usher in a new generation of hybrid rendering to address the $250 billion visual effects industry. Hybrid rendering enables cinematic-quality interactive experiences, amazing new effects powered by neural networks and fluid interactivity on highly complex models. The company also unveiled its initial Turing-based products — the NVIDIA® Quadro® RTX™ 8000, Quadro RTX 6000 and Quadro RTX 5000 GPUs — which will revolutionize the work of some 50 million designers and artists across multiple industries. 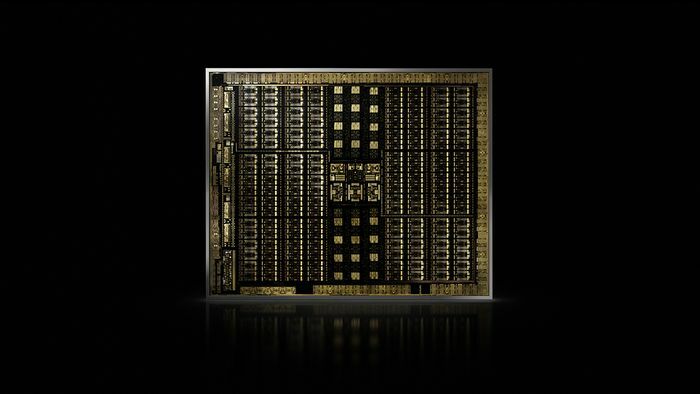 NVIDIA’s eighth-generation GPU architecture, Turing enables the world’s first ray-tracing GPU and is the result of more than 10,000 engineering-years of effort. By using Turing’s hybrid rendering capabilities, applications can simulate the physical world at 6x the speed of the previous Pascal™ generation. This level of performance powers AI-enhanced features for creating applications with powerful new capabilities. These include DLAA — deep learning anti-aliasing, which is a breakthrough in high-quality motion image generation — denoising, resolution scaling and video re-timing. These features are part of the NVIDIA NGX™ software development kit, a new deep learning-powered technology stack that enables developers to easily integrate accelerated, enhanced graphics, photo imaging and video processing into applications with pre-trained networks. Certain statements in this press release including, but not limited to, statements as to: NVIDIA reinventing and changing computer graphics with the launch of the Turing GPU architecture; the benefits, abilities, impact and performance of the Turing architecture, RT Cores, the RTX platform and Tensor Cores, including the ability to make and accelerate ray-tracing possible, enabling cinematic quality rendering, new creative tools and fluid interactivity, being NVIDIA’s most important innovation, Turing resetting the industry and opening up creative possibilities, Turing making possible a new generation of applications that will simulate the physical world at unprecedented speeds, enabling partners to iterate faster and more frequently, completely changing how artists work, creating applications with powerful new capabilities, ability to create complex simulations; NVIDIA Quadro RTX products revolutionizing the work of designers and artists; key graphics applications planning to take advantage of Turing features through the RTX development platform; the combination of technologies resulting in new results and the impact of the technology in every industry that does visualization with computers; the benefits, performance and abilities of the NVIDIA NGX software development kit; and the availability of Quadro GPUs are forward-looking statements that are subject to risks and uncertainties that could cause results to be materially different than expectations. Important factors that could cause actual results to differ materially include: global economic conditions; our reliance on third parties to manufacture, assemble, package and test our products; the impact of technological development and competition; development of new products and technologies or enhancements to our existing product and technologies; market acceptance of our products or our partners’ products; design, manufacturing or software defects; changes in consumer preferences or demands; changes in industry standards and interfaces; unexpected loss of performance of our products or technologies when integrated into systems; as well as other factors detailed from time to time in the most recent reports NVIDIA files with the Securities and Exchange Commission, or SEC, including, but not limited to, its annual report on Form 10-K and quarterly reports on Form 10-Q. Copies of reports filed with the SEC are posted on the company’s website and are available from NVIDIA without charge. These forward-looking statements are not guarantees of future performance and speak only as of the date hereof, and, except as required by law, NVIDIA disclaims any obligation to update these forward-looking statements to reflect future events or circumstances. © 2018 NVIDIA Corporation. All rights reserved. NVIDIA, the NVIDIA logo, CUDA, NVIDIA NGX, NVIDIA RTX, NVIDIA Turing, Pascal, Quadro and Quadro RTX are trademarks and/or registered trademarks of NVIDIA Corporation in the U.S. and other countries. Other company and product names may be trademarks of the respective companies with which they are associated. Features, pricing, availability and specifications are subject to change without notice.